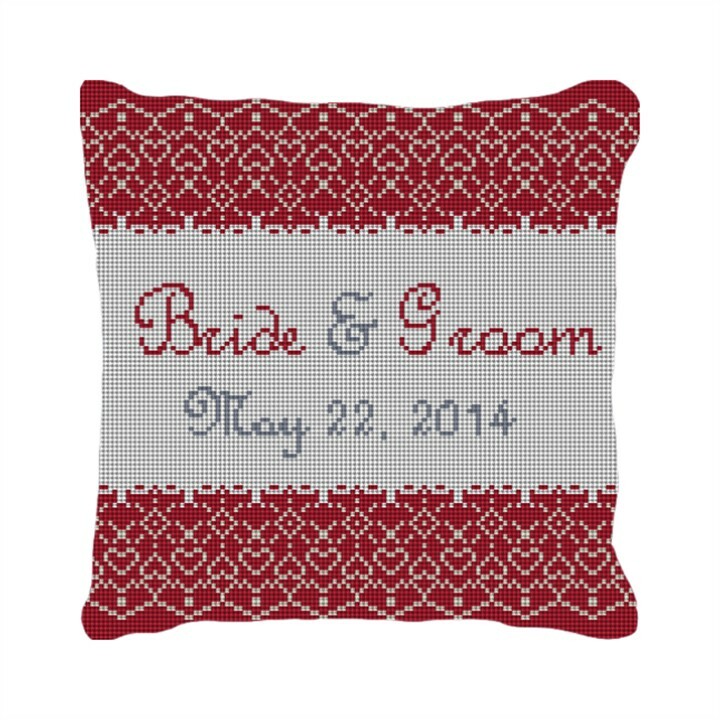 The red lace needlepoint kit is an elegant design perfectly suited to be stitched into a ring bearer pillow, or go up on the wall in the happy new couple's home. The design has a lot of details so look closely. Also note, the colors can be adjusted per your request and a preview of your canvas will be made for your approval before we ship your order.